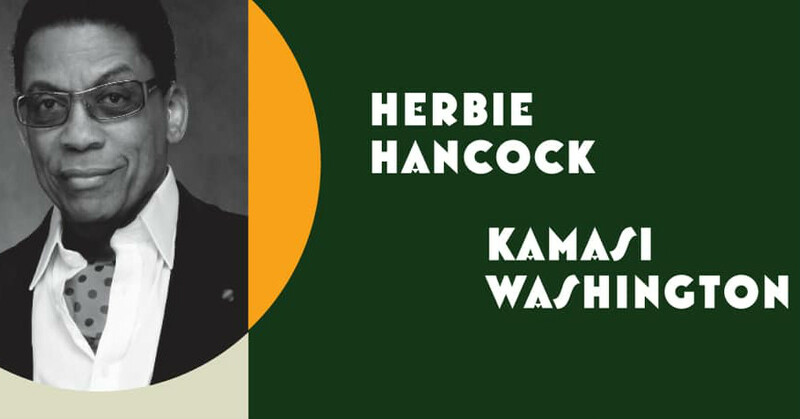 Herbie Hancock and Kamasi Washington have announced 2019 dates together. The tour kicks up in late July, with North American dates planned from coast-to-coast. In addition to the joint tour, Herbie heads out on a tour through Australia next month and Kamasi will be performing in Europe. Both artists also have a number of festival appearances planned separately. Hancock has established himself as one of the greatest jazz pianists of all time, going back to his days with Miles Davis in the '60s through his innovative work in the decades since. Meanwhile, the 38-year-old Washington has stepped up as one of the most popular and influential jazz musicians of the current era, combining classic sounds with other genres and his own unique sensibilities since his debut album The Epic put him on the map in 2015. Fans can expect a beautiful evening of improvisational music, with each artist performing sets backed by their respective bands. When do Herbie Hancock and Kamasi Washington 2019 tickets go on sale and what is the presale code? Tickets for their previously announced dates are now on sale. For the new shows, the general public on-sale starts as early as April 12 at 10 am local time. Presales for Citi and American Express cardmembers will begin on April 10. Live Nation, LN Mobile App, and local venues / radio presales will follow. We recommend following both artists on their social media accounts, in addition to signing up for your local venue's email newsletter, to get the most up-to-date information. For concert tickets and more, check out the Herbie Hancock and Kamasi Washington Zumic artist pages.